Screenwriter, director, photographer, traveller and poet. He won the Jiří Orten Award in 2002. He has directed some thirty documentary films and portraits of writers. 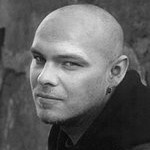 He was born in Varnsdorf on 18 July 1972. He has brewed beer, written advertisements, washed dishes and sold books. 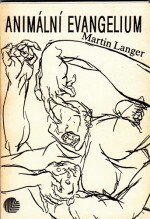 Langer remains solitary after a painful struggle trying to extract something of substance. His existential enthusiasm is present in this non-exhibitionist, internally muted, compelling poetry. 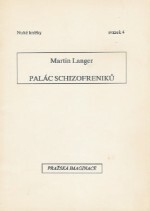 He made his debut with Palác schizofreniků (The Palace of Schizophrenics, Pražská imaginace 1990). He wrote these poems when he was fifteen or sixteen and says of the book that it was like “an examination of adolescence”. 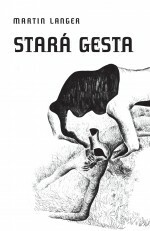 Two years later saw the publication of Animální evangelium (Animal Gospel, Mladá fronta, 1992) and then the collection Já nezemřu zcela (I Won’t Die Completely, Protis, 1996). “It is never a game, or sentimental, or about the love of words. Everywhere it is about the concise and persistent precision of description. 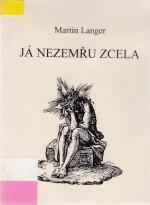 Describing both the irrationality and absurdity of the world: sharpening scythes with snow,” wrote poet Jiří Staněk about another of Langer’s collections, Průsmyky (Mountain Passes, Host, 1997). 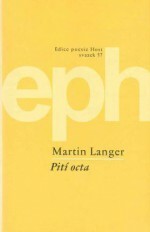 Langer is represented in dozens of poetry anthologies and has published both poetry and photographs in magazines. He filmed the documentary Kremličkiana – Léto s básníkem Vítem Kremličkou (A Kremlička-fest – Summer with the Poet Vít Kremlička). 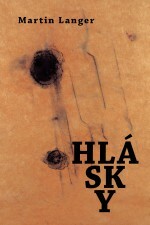 There have also been several portraits of Czech writers including Václav Kahuda, Marka Míková, Bohumila Grögerová, Martin Reiner and Lubomír Typlt.